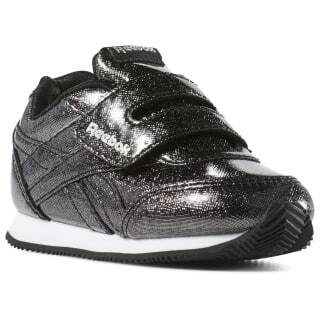 She'll be the star of the playground with these fun toddler girls' shoes. 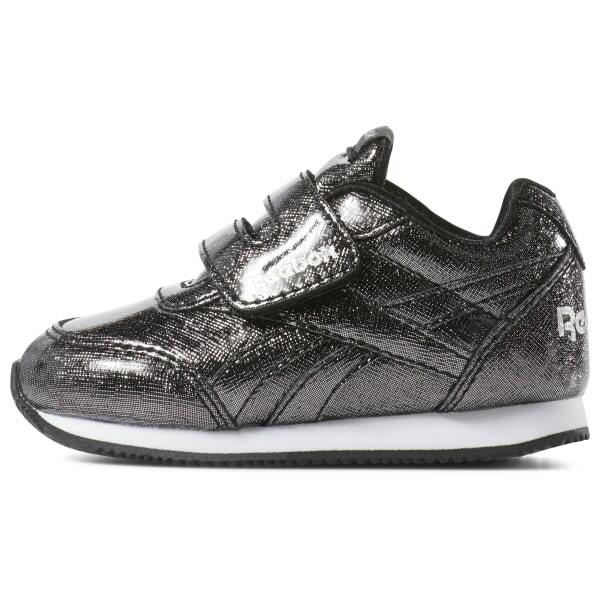 Here, the traditionally clean style of the Royal Classic is anything but subtle with an allover sparkly sheen. A hook-and-loop strap enables easy on and off.